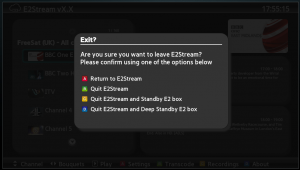 E2Stream – the Enigma2 Samsung SMART TV Streaming App, streaming all your HD and SD channels and related content from the EPG from your enigma 2 set top box, to a Samsung SMART TV elsewhere in your home. 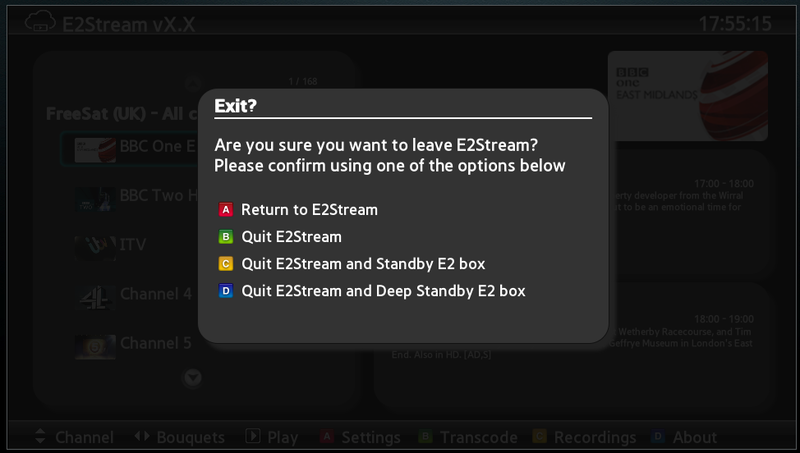 Browse and watch channels from your Enigma2 set top box on a Samsung SMART TV connected to the same local network. If you do use E2Stream, please consider donating an amount of your choice to support the continued development and hosting costs of this app!